When it comes to getting a lot of shopping done in one stop, Walmart comes to mind. With just a small amount of money, you can cover your shopping list. What could you get with a $25 Walmart gift card? 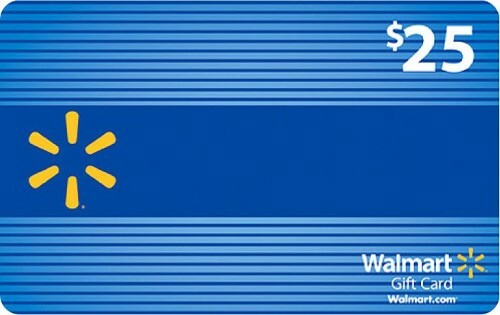 Could you use a $25 Walmart Gift Card! Could you?? If so, you might want to enter our FLASH giveaway this week! Blogging Mom of 4, Madame Deals and Review Dad have joined together to give away a $25 Walmart Gift Card! Must be 18+ and a US Resident to be eligible. Giveaway will run 3/5 12:01 am EST - 3/7 11:59 pm EST.